We all know that water is great for us, but have you ever really stopped to think about why? Not only is water great for your skin, hair and more, but not drinking enough could actually be one of the reasons that you're haivng trouble reaching your fitness goals. Check out what one of our Personal Trainers in Kigston, Alicia, had to say about the importance of drinking enough water. And what could happen if you don't! "When beginning a fitness journey, we usually think 'workout and eat better!' but we forget the importance of water consumption. When we become dehydrated, our body mistakes it for being hungry, and if you're working out, you're seating more and feeling hungrier when you may just need to consume more water. Keep in mind too, that if you're adding in more protein and fiber to be healthier, you need to add more water to help break the food down. I recommend aiming for half of your body weight in ounces of water per day. You can start small and work your way up, as you do, your body will adjust and you'll get used to drinking that amount!" Thanks for the Tip Alicia! 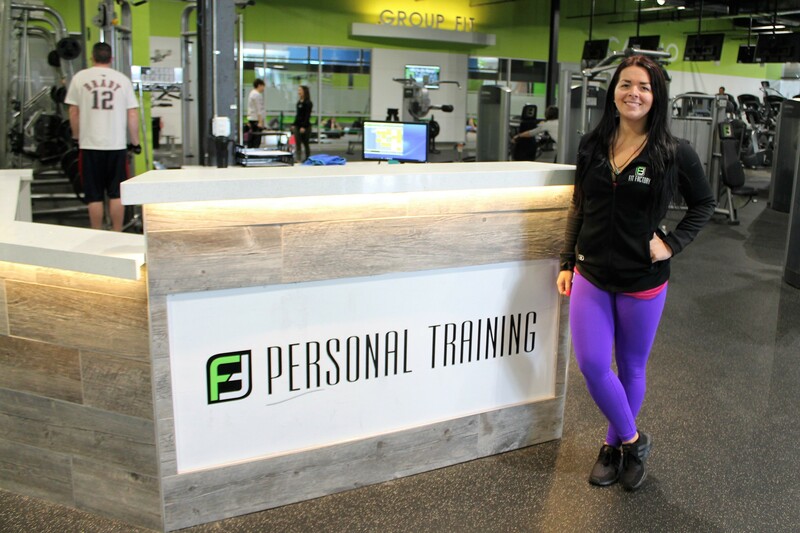 Are you interested in working with a trainer to help you reach your goals? Don't wait, schedule your free fitness consultation today to get started!